An interesting mat-forming small plant which combines features of both Dendrobium and Bulbophyllum. 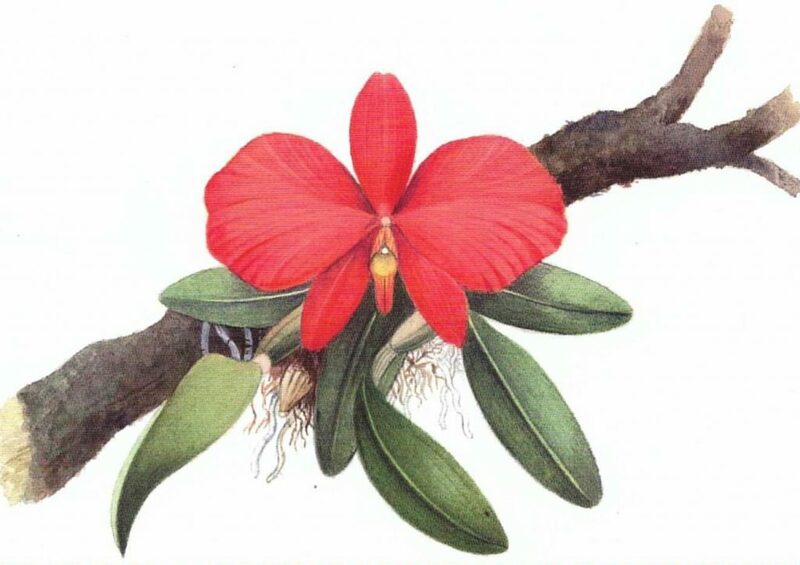 However, unlike Bulbophyllum, the flowers arise from the apex of the globose pseudobulbs. 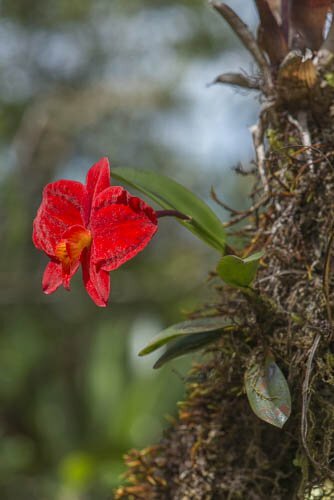 The attractive, fleshy, Bulbophyllum-like blooms arise at times during the year and are long-lasting. Best grown on cork bark and kept humid and moist at all times and with good air movement. Price £22 + £5 postage. 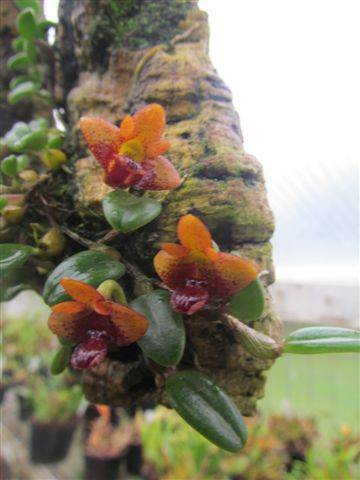 This gorgeous miniature species from New Guinea has been sought after by growers for many years. The tufted habit, topped with lovely flowers with broad crystal-white petals makes it an ideal companion for Dendrobium cuthbertsonii and other Oxyglossum species. 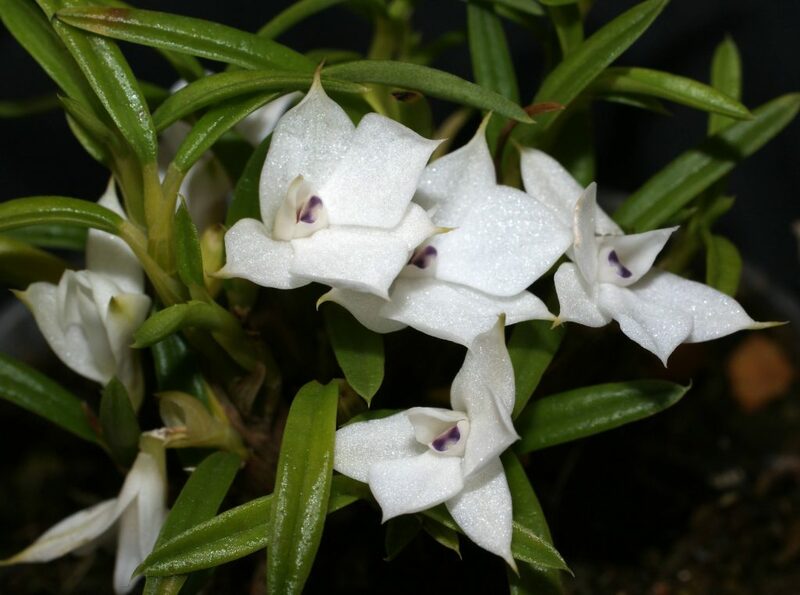 Unlike most others in this group, Dendrobium subuliferum is fragrant; the only other Oxyglossum to be also scented is the closely related Dendrobium cyanocentrum. The species should be grown on the intermediate side of cool, kept humid and moist at all times and with good air movement. Flowering-sized established plants available now, Price £30 + £5 postage.